The tension between Drona and Drupada. They were school friends as children. Both kshatriyas and Brahmanas were considered eligible for gurukula. Drona a brahmana's son and Drupada the son of a king. As children and friends., Drupada out of love and affection for his friend promised Drona half of his kingdom when he inherited it from his father. Later when Drupada did inherit the kingdom, Drona approached him for charity which is natural for a Brahmana. It was actually Drupadi's duty to give the Brahmana something of value land, cows gold, etc. It was the means of occupation for the Brahmana. As we know these were the last days of the old world and the society was crumbling in many ways. Pariksit being cursed by a Brahmana boy etc. The structure was breaking down and Bhishma was trying to uphold the integrity of Hastinapur and the society as is the duty of the Kshatriyas. But he was not able to do it either. The War of Kurukshetra finally finished it all. In this tension between Drupada and Drona, I was wondering why Drupada did not do his duty as a king. Seeing it in relationship to the Lord it began to make a little more sense. 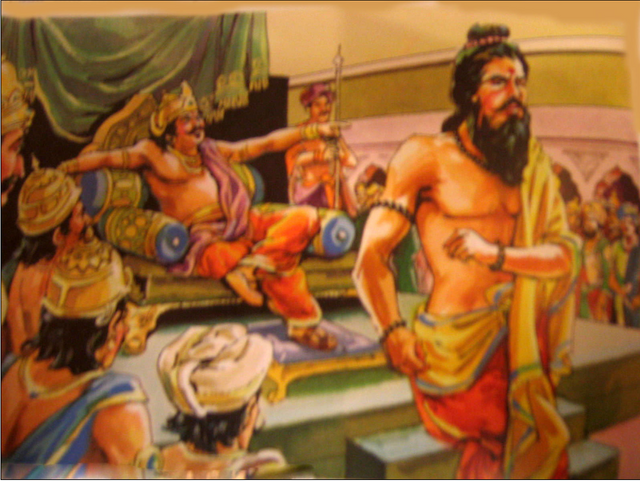 If Drona the Brahmana had approached Drupada the King simply a Brahmana begging alms. Drupada would have indeed given him sufficient wealth. But Drona approached the king as a friend. This was a conflict of duty. Draupada could not respond favorably to the request when it was framed in that way. Outside of duty feeling that the social mores were being violated. And that is why his diatribe of, "Friends can only be equals. How can I as a king be 'friends' with a beggar?" These are the kinds of external restrictions that Krishna in His appearance as Sri Chaitanya Mahaprabhu desired to dissolve in order to clear the path to prema bhakti. Even in His appearance as Sri Krishna in Dwarka, we see how he received His old school friend Sudama Brahmana with all respect and "love" and even without the Brahmana asking for anything lavished on him all that he could ever hope for in devotion and material facility. 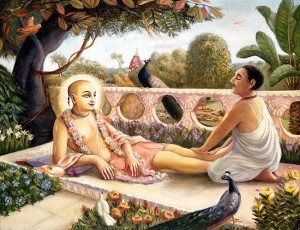 In His appearance as Sri Chaitanya, He also dealt with this same issue of King and Brahamana relating in ecstatic love outside social restrictions and met King Pratraparuda secretly in the garden at the Ratha Yatra for a very intimate devotional exchange. All of the persons in Mahabharata are in positions that put them at odds with the old world rules and regulations for society. They are all uniquely challenged like that. It is truly an incredible Vaishnava masterpiece. But the depths of the truths in it remain hidden. We see the same dynamic playing out around us today in the world in general. This panic about the "coming new world order" which seeks to regulate human society according to external rules and the desire of the rebellious to be free to depend on internal guidance. It is the perfect arrangement of the Lord that His sankirtan is taking place on the planet now. 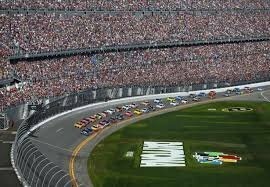 I'm not particularly inclined to temple service but _________ has become a friend and she has asked me to help make the thousands of cookies she will be making for distribution at the Daytona racetrack harinam. So I will be going there today to help my "friend." 🙂 Then she is driving to Daytona to distribute them. Although I appreciate the great service these mass harinam's do for the public and spreading Krishna conscious exposure I am not so inclined to physically participate anymore. But _________ needs help driving. She is fully prepared to drive there alone distribute the cookies and drive back a little over two hours each way. I have decided to go with her and help with the distribution and driving. I am thinking to read and chant along the way. __________ has said she wants to come with us. Let's see how we do. Thinking of you. Hare Krishna.. I like Mahabharata. I appreciate your great article.